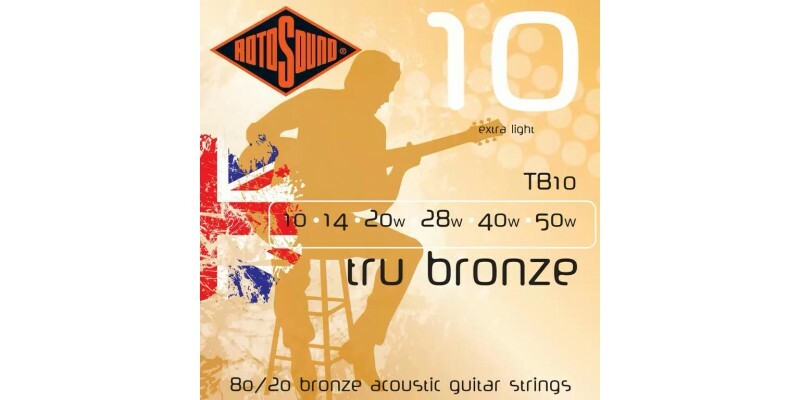 Rotosound Extra Light TB10 Tru Bronze are made in the UK and are a superb value acoustic guitar string made from 80/20 Bronze. Our alternative acoustic guitar string to the 92/8 series. Comprising brass wire covers, these strings offer the resonant advantages of such coupled with considerable clarity and tone.